In this week’s conversation, we would like to look at once again at the US consumer which seems to be increasingly relying on his credit card as well as other signs that warrants monitoring at this stage in the cycle. 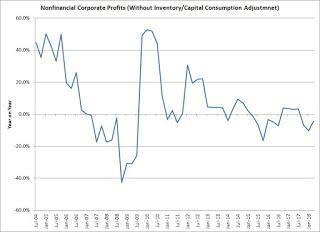 Macro and Credit – What’s the Armstrong limit for the US consumer’s confidence? In continuation to our last conversation, we think it is essential for the US growth outlook and forward earnings to continue to focus on the state of the US consumer. 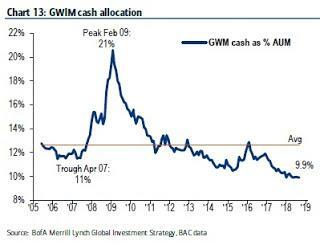 After all, the first on the line in any case of trade war escalation is the US consumer who gets the price increase passed onto by corporations facing a surge in costs. With the US consumer confidence index climbing to 138.4 in September from 134.7 in August, the highest since September 2000 we are wondering if it is the absolute Armstrong limit. “In the past 51 years, only 11 times has confidence been higher than it is today. Said differently, roughly 98% of the time confidence is lower than it is now. That’s good news for the consumer, but for how long? Remember the Sock Puppet Commercials? 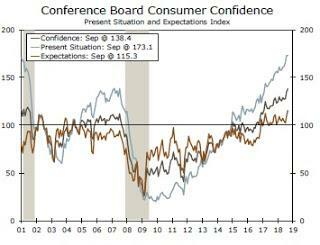 The last time consumer confidence was as high as it is today was in the year 2000. A number of financial and economic indicators from that era are similar to where they are today. The stock market was soaring to all-time record highs, the unemployment rate was below 4% and the economy was in its 10th year of uninterrupted expansion. Then, as now, there were few people seeing an end in sight. While we still think the current expansion has room to run, we would be remiss not to make note of just how rare a thing it is to see confidence at these lofty levels. 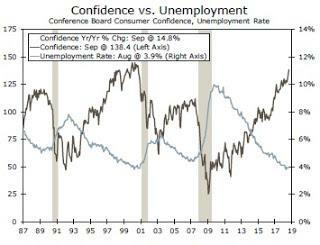 Only in 11 individual months since 1967 have we seen confidence higher than it is today. Nine of those months were in the year 2000. The other two were in 1999. This is the thin air of the high peaks. The euphoria is not limited to the consumer sector. The ISM manufacturing index is at its highest level since 2004 and the NFIB Small Business Optimism Index, an indicator of small business confidence, is at its highest level on records that date back to 1974. The fact that these measures are at record highs does not preclude them from going higher, but one characteristic that they all share is a tendency to peak before a slowdown. There is an interesting dynamic going on between consumers’ assessment of the present situation, compared to expectations for the future. As seen in the middle chart, the present situation measure is running well ahead; in the prior cycle there was a similar divergence late in the cycle. 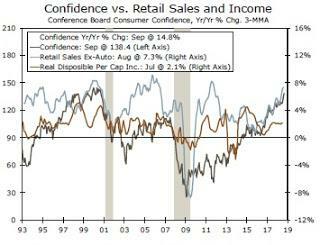 The below chart plots consumer confidence alongside both retail sales (ex-autos) and real income growth on a per-capita basis. 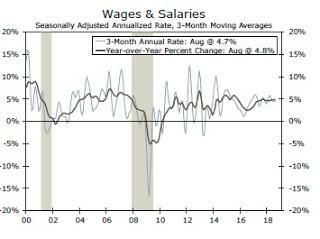 Here we see something that Fed policymakers have been wringing their hands over throughout this cycle, which is: if the labor market is so hot, how come income growth is so tepid? That slower income growth tempers our enthusiasm for the ability of consumer spending to sustain growth indefinitely. We will get the latest read on this when the personal income and spending numbers hit the wire on Friday of this week. With US Personal Income rising 0.3% in August, slightly less than expected (0.4%) last Friday, then indeed slower income growth should indeed temper slightly your enthusiasm we think. An inflation spike is very much on our radar. Oil has extended its gains after the longest quarterly rally in a decade thanks to a slowdown in American drilling as well as supply concerns. The U.S. and Saudi Arabia have discussed market stability yet it seems there are some questions relating to spare capacity with traders highlighting a potential surge towards $100 a barrel at some point. “Wages and salaries posted the largest monthly increase since January, but increasingly higher gas prices and other energy costs are commanding a larger share of consumer spending. 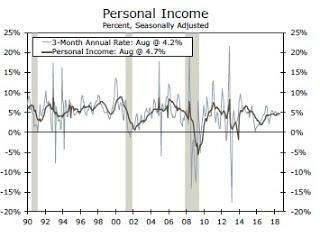 Personal income increased 0.3% in August, which was a bit shy of the 0.4% that had been expected by the consensus. More than two thirds of the increase was due to the fact wages and salaries notched a solid 0.5% gain. That was the best monthly increase since January and the latest indication that the hot job market is at last translating into meaningful improvement in wages. Personal interest income, which comprises less than a tenth of overall income, was down for the second straight month and was in fact the only category of personal income that declined during the period. Despite the slightly softer print on the income side, spending did not disappoint with the 0.3% pick-up in outlays, matching the consensus expectation. The fact that wages and salaries drove much of the increase explains why the saving rate was able to remain unchanged at 6.6%. Consumer durable goods outlays slipped 0.1%, but every other major category of spending was either flat or positive to varying degrees. Echoing one of the themes from the August retail sales report in which gas stations reported faster sales than other types of stores, the biggest category gainer in terms of price was energy goods and services, up 1.9% on the month. This category includes spending on gasoline but also includes energy goods delivered to the home through utilities like electricity and natural gas. The takeaway is that higher energy prices in August might have been holding back spending in other categories. Excluding food and energy, spending was flat in August. People are not suddenly buying a lot more gasoline. Prices, of course, are largely to blame. The energy prices category within the price indices has seen double-digit percentage gains in each of the past four months. Mercifully for consumers, prices for durable goods have also been lower in each of those past four months, ameliorating the impact of higher energy prices. 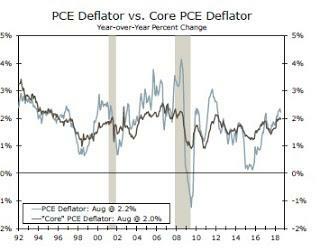 The headline measure for the personal consumption expenditures deflator, the Fed’s preferred inflation gauge, slowed slightly to 2.2% from 2.3% on a year-over-year basis in July. Existing tariffs on a variety of imports totaled roughly $100 billion in August; with this week’s additional tariffs on $200 billion going into effect, the price effects for consumers might become more tangible. The nation’s largest retailer this week warned that it might be forced to charge higher prices. Tariffs and rising gas prices do not bode well for the euphoric US consumer we think in the near future. Sure US equities, consumer confidence and even US High Yield have had a very good run in 2018 (CCCs have outperformed higher quality by a wide margin: +5.6% of excess returns) in comparison to the rest of the world, so it’s highly likely that the “risk-on” euphoric mood will continue given financial conditions are still fairly accommodative (as per the most recent Fed SLOOs), but we think that 2019 could start becoming much more challenging as QT accelerates and depending on the Fed’s hiking path as we are officially out of negative real rates for now. 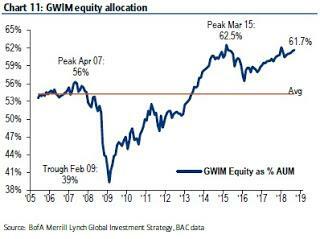 In continuation to our “macro” long conversation “The Money illusion”, where we concluded that liquidity is a coward and where we repeated what we indicated back in June 2015 from our conversation “The Third Punic War“, bear markets for US equities generally coincide with a significant tick up in core inflation, given the amount of buybacks since with the issuance of debt in many instances in our final charts below, we are wondering if there could be as well a “profit illusion” when it comes to the US markets. “Are companies creating the illusion of higher profits through stock buybacks? It was reported earlier this week that S&P 500 companies bought back a record US$189 billion of their own shares in the first quarter of this year. The buybacks make results look better than they really are, as The Wall Street Journal reported. 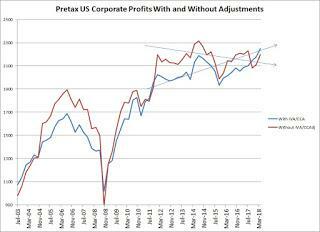 The charts below show that raw, unadjusted US corporate profits actually FELL year on year, and corporates are creating the illusion of higher profits by buying back shares. This is the rawest, simplest measure of profits, before tax and inventory/capital consumption adjustments, which are model driven. This is basically what corporations report on their income tax, and it doesn’t look terribly strong. Are profits rising or falling?